Of all the forces or objects in the Universe that we cannot see—including dark energy and dark matter—none has frustrated human curiosity so much as the invisible maws that shred and swallow stars like so many specks of dust. "It has a gravitational pull strong enough to make stars orbit around it very quickly—as fast as 20 years." 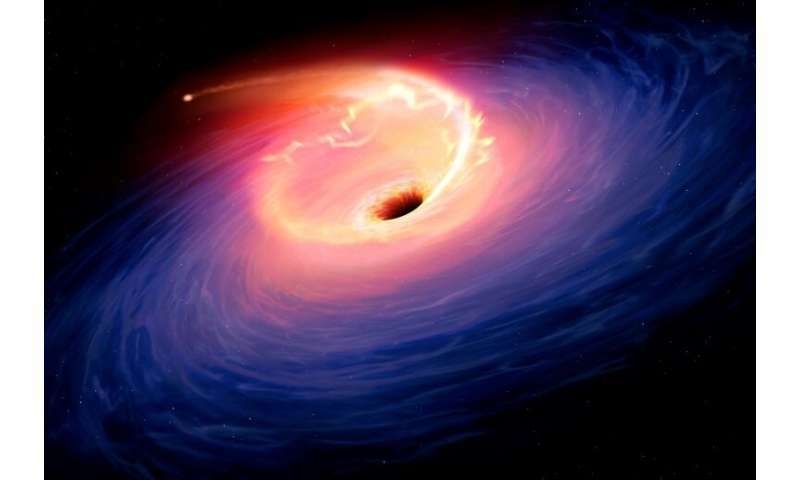 Eventually, astronomers speculated that these bright spots were in fact "black holes"—a term coined by American physicist John Archibald Wheeler in the mid-1960s—surrounded by a swirling band of white-hot gas and plasma. "The event horizon"—a.k.a. the point-of-no-return—"is not a physical barrier, you couldn't stand on it," McNamara explained. "If you're on the inside of it, you can't escape because you would need infinite energy. And if you are on the other side, you can—in principle." "Instead of constructing a giant telescope—which would collapse under its own weight—we combined several observatories as if they were fragments of a giant mirror," Michael Bremer, an astronomer at the Institute for Millimetric Radio Astronomy in Grenoble, told AFP. In April 2017, eight such radio telescopes scattered across the globe—in Hawaii, Arizona, Spain, Mexico, Chile, and the South Pole—were trained on two black holes in very different corners of the Universe to collect data. The other candidate is a monster black hole—1,500 times more massive even than Sag A*—in an elliptical galaxy known as M87. "We are sitting in the plain of our galaxy—you have to look through all the stars and dust to get to the centre," said McNamara. 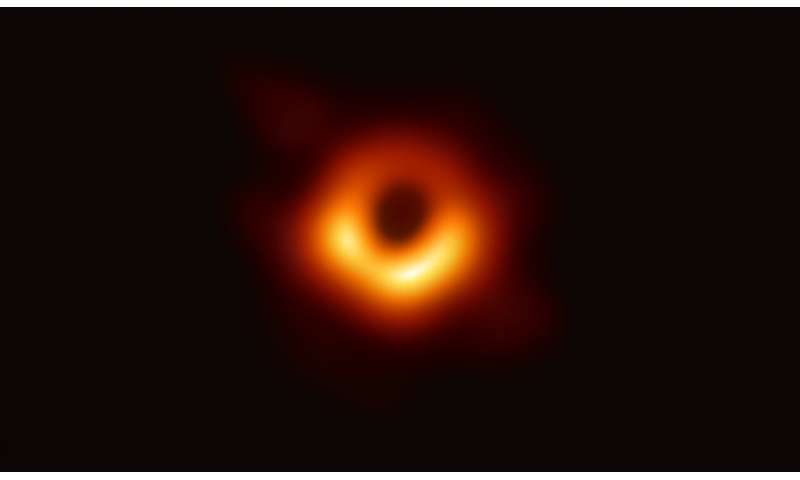 "The imaging doink-head we developed fill the gaps of data we are missing in order to reconstruct a picture of a black hole," the team said on their website. But those were tiny black holes—only 60 times more massive than the Sun—compared to either of the ones under the gaze of the EHT. 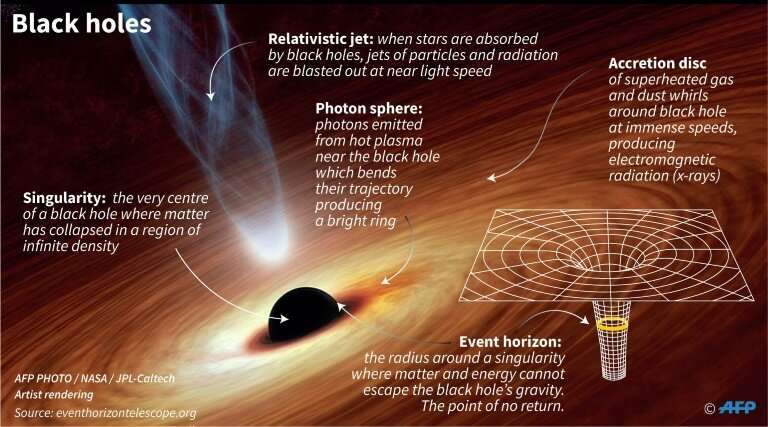 Most speculation had centred on the other candidate targeted by the Event Horizon Telescope—Sagittarius A*, the black hole at the centre of our own galaxy, the Milky Way. Knit together "like fragments of a giant mirror," in Bremer's words, they formed a virtual observatory some 12,000 kilometres across—roughly the diameter of Earth. The unprecedented image—so often imagined in science and science fiction —- has been analysed in six studies co-authored by 200 experts from 60-odd institutions and published Wednesday in Astrophysical Journal Letters. "We were desperately waiting for the data from the South Pole Telescope, which—due to extreme weather conditions during the southern hemisphere winter—didn't arrive until six months later," recalled Helger Rottmann from the Max Planck Institute. Current time: 04-20-2019, 11:40 AM Powered By MyBB, © 2002-2019 MyBB Group.